Velour Music Gallery in Provo, Utah has been a starting point for many bands that are now practically household names. Imagine Dragons, Neon Trees and The Moth and The Flame can all trace pivotal moments in their history back to this local venue and its owner, Corey Fox. 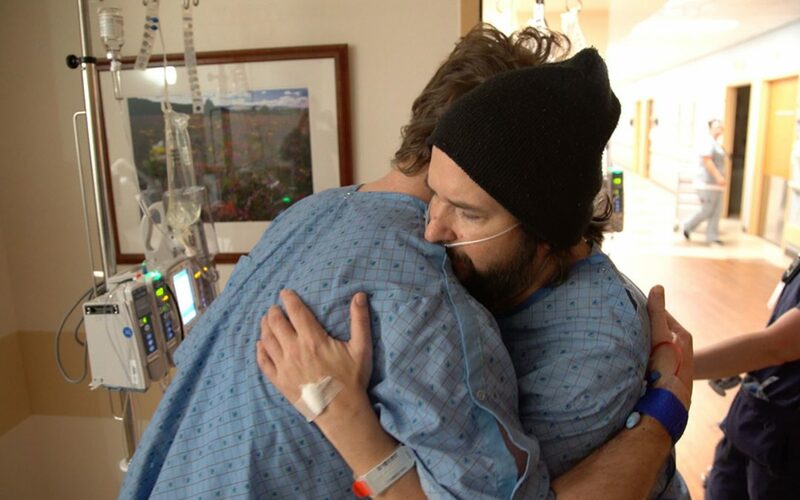 So it’s no surprise that when word got around that Fox was in the hospital with chronic kidney failure and waiting for a transplant, the bands rallied together to create #FixtheFox as a way of supporting him. Neon Trees, Imagine Dragons and The Moth and The Flame took time off from their tours in order to hold a benefit concert. The funds from the show went to support Fox and the costs of running Velour while he was in the hospital. Fox had been diagnosed with a kidney problem at the age of 15, but things started to go downhill in 2013 when he was told that his kidneys were functioning at 14 percent and he would need to be put on a transplant list. By 2015 it was down to 9 percent. Things were starting to look a little hopeless, but thanks to a crazy turn of events it was none other than Brandon Robbins, a band member of The Moth and The Flame, who turned out to be the perfect match. Fox and Robbins are now “blood brothers” after the successful transplant took place in December 2016.